San Marino’s 1 in 360 Longlist Revealed! This entry was posted in Eurovision Guide 2018, News and tagged 1in360, 2018, anita simoncini, Dinah Nah, Emma, ESC, Eurovision, Eurovision NI, Eurovision Song Contest, Franklin Calleja, Karl WIlliam Lund, Nicole Azzopardi, San Marino, Syuzanna Melqonyan. Bookmark the permalink. Ranking: Sweden’s Melfest Top 16! It’s been a gruelling four weeks for the participants in Sweden’s Eurovision selection show Melodifestivalen. Following four heats, we now know the top 16 songs. Ahead of the second chance show and the winner being announced we take a look at the 16 songs in the running, give them a score out of ten and rank them from worst to best. 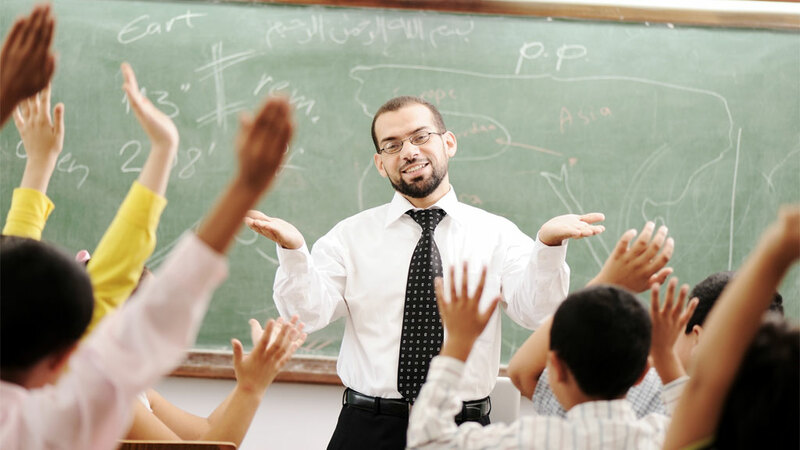 Read on to find out who placed where! This entry was posted in News, Ranking and tagged 2017, Ace Wilder, Boris René, Dinah Nah, ESC, Eurovision, Eurovision NI, Eurovision Song Contest, Jon Henrik Fjallgren, Krista Siegfrids, Lisa Ajax, Loreen, Mariette, Melfest, Melodifestivalen, Robin Bengtsson, Running Order, Sweden, The Fooo Conspiracy, Wiktoria. Bookmark the permalink. Sweden’s Melodifestivalen, which decides the nation’s Eurovision 2017 song, returned with the first of its live shows from Gothenburg this evening. Two acts made it directly to the final on 11th March while the songs in third and fourth place will compete again in the Second Chance show on 4th March. Read on to find out who made it. This entry was posted in News and tagged Ace Wilder, Boris René, Clara Henry, Dinah Nah, ESC, Eurovision, Eurovision NI, Eurovision Song Contest, Hasse Andersson, Jon Henrik Fjallgren, Krista Siegfrids, Lisa Ajax, Loreen, Mariette, Melfest, Melodifestivalen, Robin Bengtsson, Running Order, Sweden, The Fooo Conspiracy, Wiktoria. Bookmark the permalink. Listen: Melfest Show One Gets Songs Preview! Sweden’s Melodifestivalen, which decides the nation’s Eurovision 2017 song, returns with the first of its live shows from Gothenburg on Saturday night. Earlier today the Swedish broadcaster SVT revealed a one minute clip of each of the songs. Listen to them all below! This entry was posted in News and tagged 2017, Ace Wilder, Boris René, Dinah Nah, ESC, Eurovision, Eurovision NI, Eurovision Song Contest, Jon Henrik Fjallgren, Krista Siegfrids, Lisa Ajax, Loreen, Mariette, Melfest, Melodifestivalen, Robin Bengtsson, Running Order, Sweden, The Fooo Conspiracy, Wiktoria. Bookmark the permalink. Sweden’s Eurovision bid for 2017 will kick off next weekend when the first Melfest heat takes place. This week Swedish national broadcaster SVT revealed their plans for the stage design for the competition. This entry was posted in News and tagged 2017, Ace Wilder, Boris René, Dinah Nah, ESC, Eurovision, Eurovision NI, Eurovision Song Contest, Hasse Andersson, Jon Henrik Fjallgren, Krista Siegfrids, Lisa Ajax, Loreen, Mariette, Melfest, Melodifestivalen, Robin Bengtsson, Running Order, Sweden, The Fooo Conspiracy, Wiktoria. Bookmark the permalink. Melfest Running Order and Song Titles Revealed! Melfest 2017 Participants To Include Loreen, Charlotte Pirelli, Krista Siegfrids and Ace Wilder! 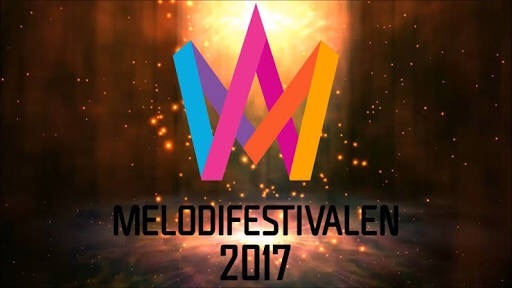 Sweden’s Eurovision selection show Melodifestivalen is probably the most anticipated event of the Eurovision selection season. Earlier this month it was announced that the format would remain true to past years with 28 acts competing over four semi finals, a second chance show and a final over six consecutive weeks. This year the shows would start on 4th February, culminating in the grand final held on 11th March. This entry was posted in News and tagged Ace Wilder, Adrijana, Alice, Allyawan, Aninia, Anton Hagman, Axel Schylström, Bella and Filippa, Benjamin Ingrosso, Boris René, Charlotte Nielssen, Charlotte Perrelli, Clara Henry, David Lindgren, De Vet Du, Dinah Nah, Dismissed, ESC, Etzia, Eurovision, Eurovision NI, Eurovision Song Contest, Hasse Andersson, Jasmine Kara, Jon Henrik Fjallgren, Krista Siegfrids, Les Gordons, Lisa Ajax, Loreen, Mariette, Melfest, Melodifestivalen, Nano, Owe Thornqvist, Robin Bengtsson, Roger Pontare, Sara Varga and Juha Mulari, SVT, Sweden, The Fooo Conspiracy, Wiktoria. Bookmark the permalink. As the first heat of the 2016 Melodifestivalen approaches we take a look back on the songs from last year. Mans Zelmerlow may have been crowned the winner of Melfest 2015 and went on to be the eventual winner of Eurovision in Vienna, but which of the other songs makes up our top 5? Read on to find out! This entry was posted in News and tagged 2016, Bada Nakna, Dinah Nah, DOn't Stop Believing, Eric Saade, ESC, Eurovision, Eurovision 2016, G:Son, Groupie, Hello Hi, Jag Ar Fri, Jon Henrik Fjallgren, Manboy, Mans Zelmerlow, Mariette, Melfest, Melodifestivalen, Popular, Rollercoaster, Samir and Viktor, Second Chance, Sting, Sweden, Swim NAked. Bookmark the permalink. This entry was posted in News and tagged Andra Chansen, Andreas Weise, Behrang feat Victor Krone, Dinah Nah, Dolly Style, Groupie, Hasse Andersson, Hello Hi, Kristen Amparo, Linus Svenning, Loreen, Mans Zelmerlow, Melodifestivalen, Paperlights, Robin Paulsson, Samir and Viktor, Sanna Nielsen, Second Chance, Sweden, Undo. Bookmark the permalink. This entry was posted in 15 things we learned this week, News and tagged 2015, A Dal, Aina mun pitää, Amanecer, Armenia, Australia, Austria, Boggie, boglarka csemer, Chico and the Gypsies, Dinah Nah, Eduard Romanyuta, Edurne, Erika Selin, ESC, Eurovision, Eurovision 2015, Eurovision Song Contest, Finland, France, Genealogy, Hasse Andersson, Here For You, Heroes, Hungary, I Want Your Love, Ireland, JTR, Kat Mahon, Lisa Angell, Mans Zelmerlow, Maraaya, Mary-Jean O'Doherty Vasmatzian, Melodifestivalen, Moldova, Molly Sterling, N'oubliez Pas, Nikki Kavanagh, PKN, Playing with Numbers, RTE, Scandinavia, Slovenia, Spain, Spoon, Stephanie Topalian, Sweden, UK, UMK, Vanessa Amorossi, Veronicas, Vienna, Wars For Nothing. Bookmark the permalink.